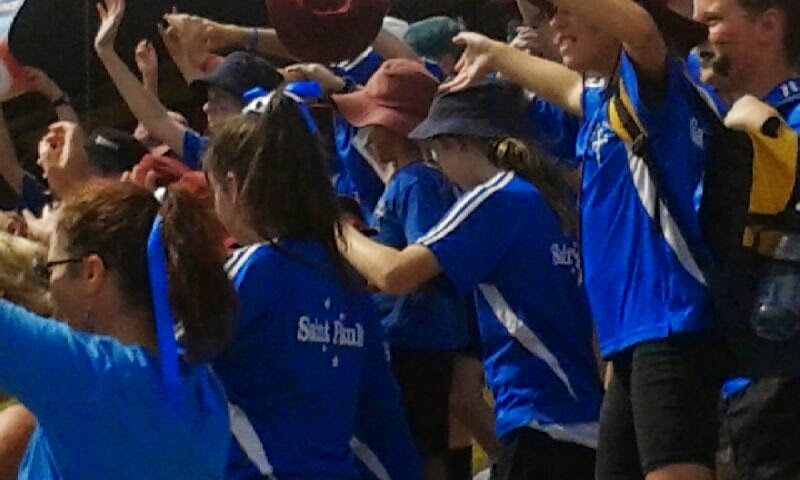 What a great day we had at the cricket. 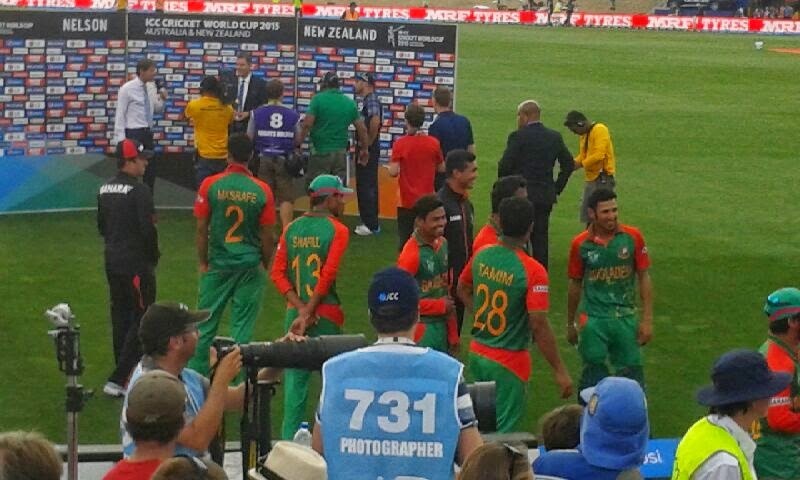 The atmosphere provided by the Bangladeshi and Scottish supporters made it a truly unique experience. 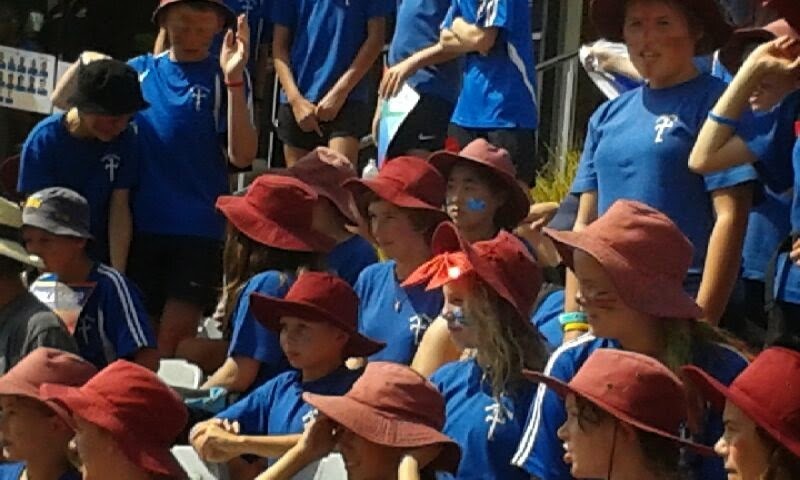 A huge thank you to all our parent helpers who came along and helped out on the day. 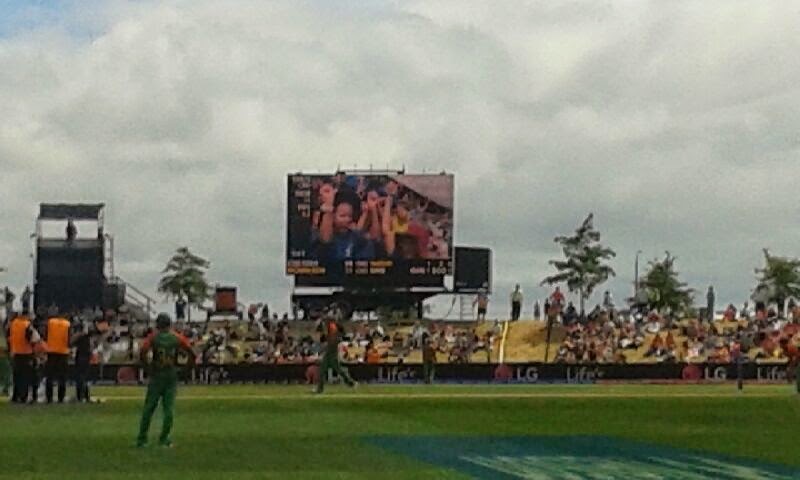 We made the TV coverage not only here in New Zealand but also were filmed by a Bangladesh crew. 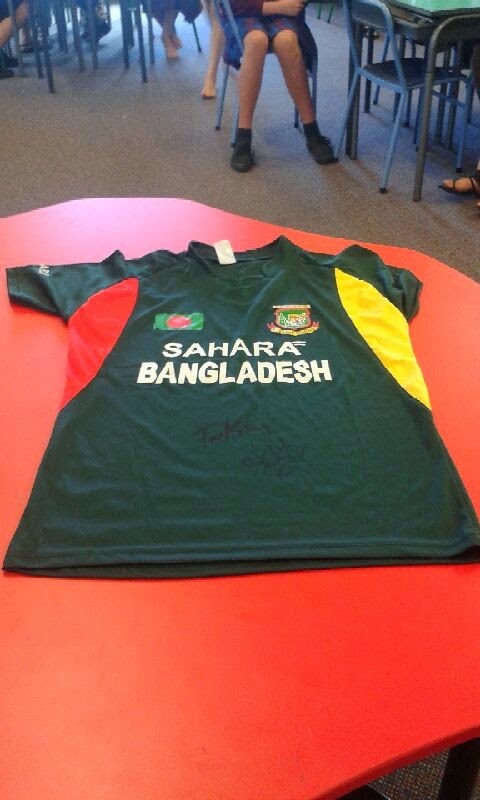 The sportsmanship and willingness of both the Bangladesh and Scottish teams to take the time to acknowledge our school group was commendable. 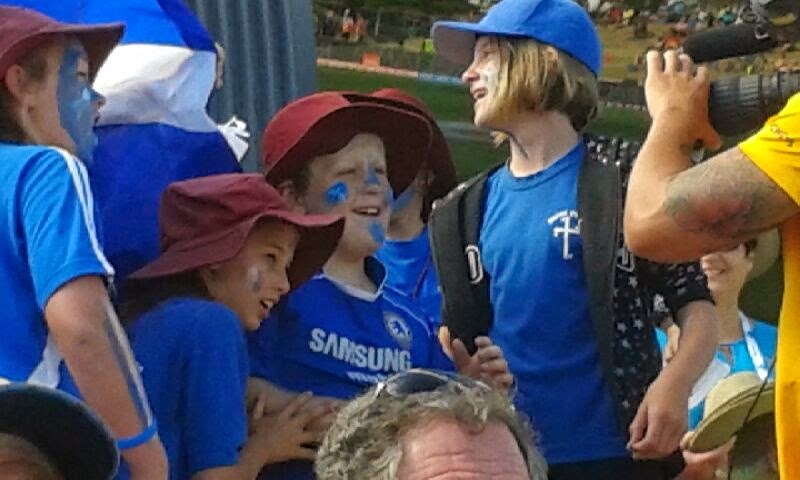 We in turn supported both teams with equal enthusiasm! We would like to especially thank Nelson Cricket and the CWC for providing us with no doubt the best seats at the ground. They were so impressed with our school that we were awarded some special prizes!!! 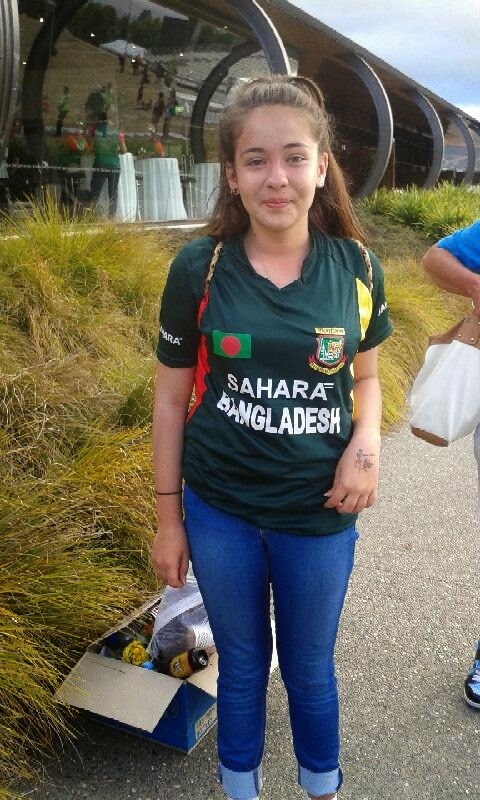 Anahera and the Bangladesh shirt she was gifted by a supporter! 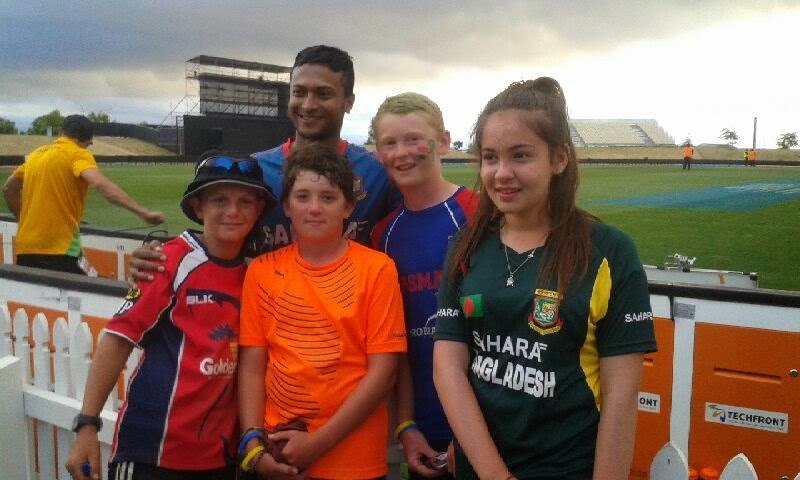 At the end of the day these lucky few got to meet the world's number one all-rounder! 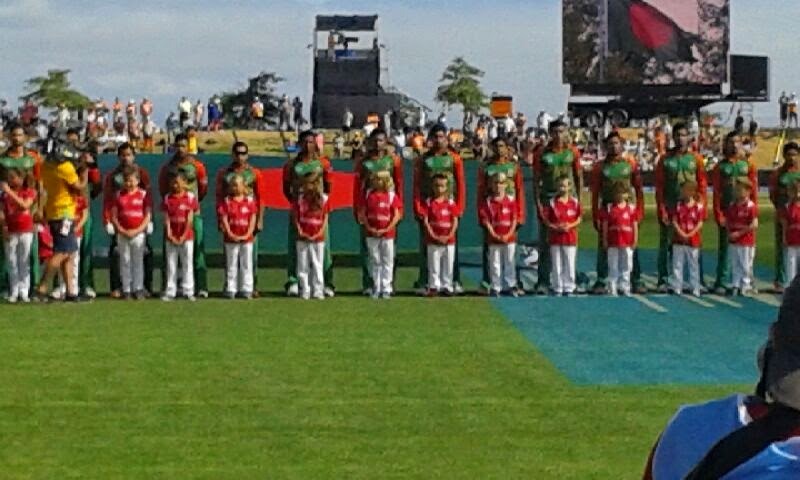 The day was really fun GO BANGLADESH!!!!!!! 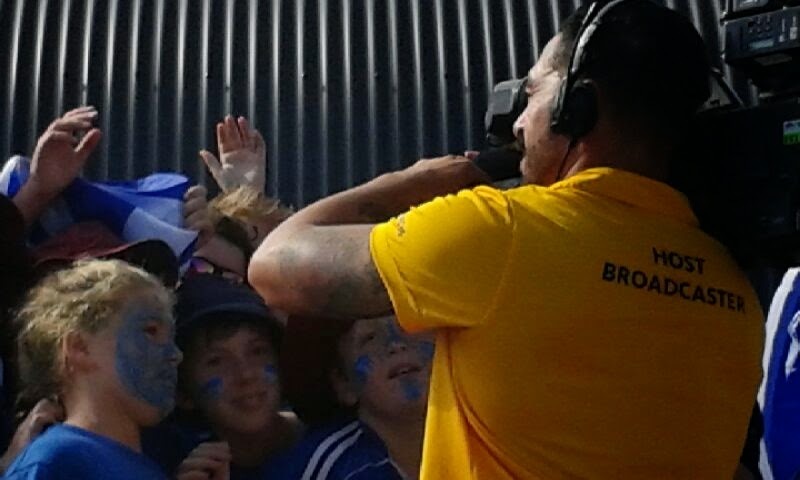 That was a fun day hope everyone had a good day.